If you are 50+, and have never been vaccinated against Shingles, your health insurance will now cover the new Shingrix vaccine. Talking with someone who has experienced the pain of Shingles should motivate you to place this at the top of your “to do” list. My own primary care doctor had Shingles a few years ago, while in her 50’s. She urges all her eligible patients to take advantage of the enhanced Shingles vaccine. 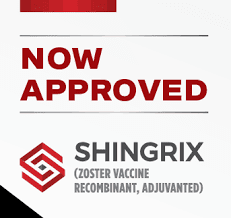 Zostavax, the first Shingles vaccine, has been found to lose effectiveness after just a few years, so re-vaccination with Shingrix is now recommended for everyone over 65. It is much more effective for patients in their 70’s and 80’s than Zostavax, and is also safe for patients with immune disorders. Shingrix is given in two doses, at least 8 weeks apart. Most MD offices do not stock or administer Shingrix. The doctor will send a prescription to your drugstore, where a Pharmacist will give the injection. Your drug plan will cover the vaccine. The co-pay for Medicare plans will be approximately $40.